Manchester United right-back Guillermo Varela has emerged as a surprise target for Real Betis ahead of the summer transfer window. According to the football transfer rumours in Spanish Media (Fudbolistos), Real Betis are linked with a move for Manchester United right-back Guillermo Varela. The Uruguay international has joined Manchester United from Peñarol for a fee in the region of 2.4 million euros in July 2013. The 24-year-old has a valid contract with Manchester United until June 2017. 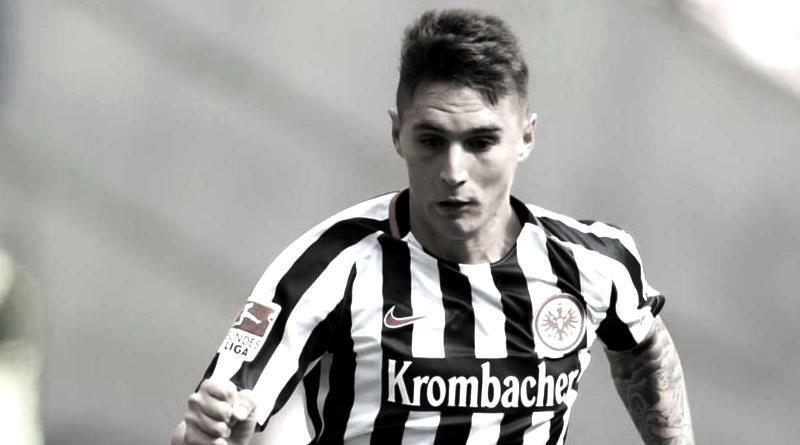 In July 2016, Guillermo Varela was sent to Eintracht Frankfurt on a season-long loan. Since his arrival from Manchester United, Guillermo Varela has played in 11 games for Eintracht Frankfurt in all competitions this season. The 24-year-old is considered to be one of the best right-backs in Uruguay. Guillermo Varela has represented Uruguay at Under-20 level, winning 26 caps. The right-back’s contract at Manchester United is about to expire in 12 months and a number of clubs are said to be monitoring his situation, with Real Betis showing the most concrete interest in an attempt to lure the player to their team. Adding a right-back remains Real Betis’s top priority this summer and Quique Setién will have drafted a shortlist of a number of possible targets he could approach in the coming weeks. The Uruguay international would be a versatile addition for the Real Betis, having featured at right-back and right midfield role. Guillermo Varela would reportedly be interested in a move this summer, but if Real Betis do want him, they will have to beat those other interested clubs to his signature.